back to the garden... flower power comes full circle: We've been invited to Screen at the awesome San Francisco Documentary Film Festival. 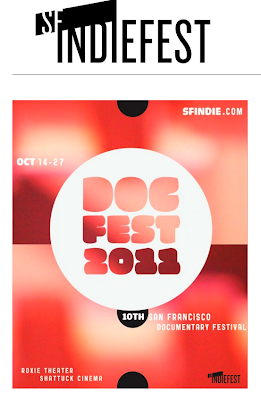 We've been invited to Screen at the awesome San Francisco Documentary Film Festival. San Francisco here we come! We're not sure what dates but we're going to be screening twice between October 14th through the 27th at the Venerable "Roxie Theater" in San Francisco. Very excited to show our film in San Francisco...the home of flower power and my home town. We're thrilled and honored to be a part of this true Indie film festival. Check out their site soon for a listing of films and special happenings slated for the film fest in October.